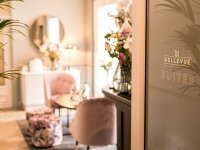 The Velvet Rose Galgorm Ballymena, Co. Antrim The Velvet Rose is a beauty salon set in the idyllic grounds of Galgorm Castle, boasting an HD brow bar, a couple's therapy room, a nail bar and two treatment rooms. Offering Eve Taylor Skincare, Minimi Wraps, Vita Liberata tan, reflexology, pregnancy massage, botox and more. 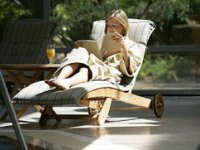 Ciuin Spa and Wellness Centre Ballyconnell, Co. Cavan The Ciúin Spa and Wellness Centre at the Slieve Russell Hotel, Golf & Country Club is set amongst rolling hills and beautiful lakes. The perfect destination for a truly luxurious and peaceful break. 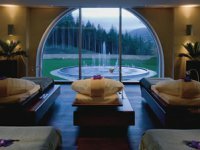 Farnham Estate Spa Farnham Estate, Co. Cavan The Farnham Estate Health Spa offers an unparalleled retreat to nature in sumptuous, sleek surroundings. A unique spa setting where indoors and outdoors are blended to take full advantage of the estate’s natural beauty. 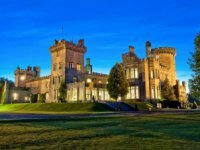 Dromoland Castle Newmarket-on-Fergus, Co. Clare A luxurious haven of calm and tranquility, the award-winning 5 star Spa at Dromoland will make time stand still as you soak up the intimate and elegant surroundings. The River Spa at The Falls Hotel Ennistymon, Co. Clare Bask in the other-worldly experiences on offer at River Spa, set in the sloping green hills of Clare’s lush countryside. Revel in a true aura of stillness and calm and breathe new life into weary bodies and minds. Bellevue Spa @ The Montenotte Hotel Cork City, Co. Cork Overlooking forested woodlands and Victorian gardens, The Montenotte Hotel's Bellevue Spa offers a unique collection of exquisitely decorated treatment rooms, nail bar and hair salon. 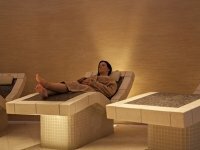 Castlemartyr Resort Castlemartyr, Co. Cork Far removed from the tensions of daily life, The Spa at Castlemartyr Resort delivers all you could desire from a relaxing sojourn. Redefine your sense of tranquility at this elegant refuge. Essence Spa at the Clayton Hotel Cork City , Co. Cork From the moment you enter Essence Spa, you’ll be awash with calmness. The gentle ambience and aromas of essential oils will soon soothe your senses, and a full range of Clarins products and treatments is available. Fota Island Spa Fota Island, Co. Cork A revitalising destination of natural serenity, Fota Island Spa offers superb facilities and exclusive treatments for the discerning spa guest. Immerse yourself in sensuous pampering and holistic renewal at this five star resort. 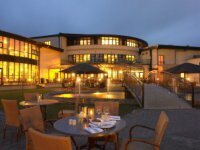 Kinsale Hotel & Spa P17 F542, Co. Cork Visit our truly amazing location where the land sweeps down to the sea, Oysterhaven, in beautiful Kinsale, County Cork. We have an amazing selection of Beauty and Holistic treatments to suit your needs. 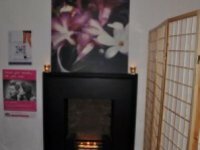 Savas Beauty Rathcormac, Co. Cork A stylish beauty salon in Cork with striking interiors and a pampering atmosphere. Offering Yonka facials and body treatments, lycon waxing, gentleman's treatments, professional makeup, spray tans and luxury hand and foot treatments. The Beautique at Hayfield Manor Cork City, Co. Cork Relax the body and mind and revive the soul at the five-star Hayfield Manor's Beautique Spa. With a classic design and stately setting you will be treated like royalty in this exclusive sanctuary. The Maryborough Spa Douglas, Co. Cork The Maryborough Spa is set amongst resplendent gardens and an impressive estate. Allow therapists to nurture you back to a state of harmony with a range of soothing treatments. The Spa at Club Vitae East Cork, Co. Cork Bathe in the tranquility of The Spa at Quality Hotel & Leisure Club in Co. Cork while enjoying views of the starkly beautiful Redbarn Beach. The definitive destination for a coastal retreat. The Spa at The Blarney Hotel & Golf Resort Blarney, Co. Cork The Spa at The Blarney Hotel & Golf Resort specialises in holistic therapies crafted to rejuvenate your mind, body and spirit. The calming atmosphere and aromas of healing essential oils will make you completely forget about the stresses of everyday life. You Time @ The Maritime Bantry, Co. Cork Awaken your senses, relax your body and rejuvenate your mind by indulging in a luxurious treatment at our You Time Treatment Rooms. They are complemented by full leisure centre facilities. 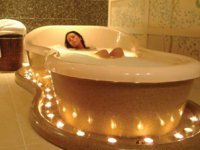 The Spa at Roe Park BT49 9LB, Co. Derry Leave time at the door of Roe Spa and enjoy a sensory heaven in charming parkland surrounds. Influenced and inspired by an exotic blend of cultures and techniques, treatments are pure bliss. 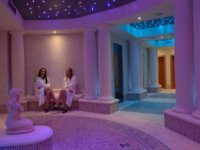 Seascape Spa Letterkenny, Co. Donegal Voted "RSVP Best Ulster 2015 Spa" we have created a special place for you to wash away the stress that we can all feel in our hectic fast-paced lifestyles. 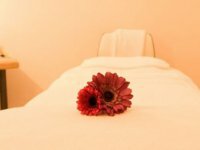 From the moment you arrive you will be greeted by friendly, professional & caring therapists, your every need will be met and you will relax and enjoy a unique spa experience. Spa Solis Donegal Town, Co. Donegal Transcending the concept of traditional spa break, Spa Solis aims to exceed all expectations with impeccable personalised service. Take time out for quiet reflection at the edge of the scenic Lake Eske. 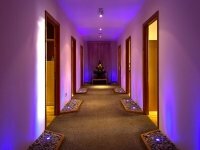 V Spa Ballybofey, Co. Donegal The V Spa is a destination of peace, pleasure and serenity. Allow your mind, body and spirit to be reconciled with expertly administered holistic treatments and first class products. Sit back and enjoy in breathtaking surroundings. Eve at The Grooming Rooms Dublin 2, Co. Dublin Eve at The Grooming Rooms is a stylish spa and salon Dublin’s city centre. Attend to all your beauty needs in this beautifully refurbished Georgian townhouse and escape the bustle of the streets outside. Firenze Clinica Beauty & Wellness Clinic Dublin 16, Co. Dublin Bring your body, mind and soul into harmony at Firenze Clinica. The beauty & wellness clinic takes a holistic approach to cultivating better health, radiance and happiness. Late Night Beauty Salon Dublin 2, Co. Dublin The Bold and the Beautiful Beauty Salon is nestled in the heart of Temple Bar. 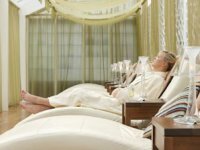 Catering to the stressed and time-pressed, a comprehensive listing of beauty and relaxation treatments is on offer to transport you to a place of pampering. Sakura Spa Swords, Co. Dublin Sakura Spa is a holistic retreat of serenity for the mind and body tucked away in North Dublin. The range of luxury Elemis treatments on offer will restore balance and harmony within. 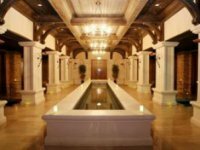 sansana SPA at The Royal Marine Hotel Dun Laoghaire, Co. Dublin A gem in the world of spa and wellness, sansanaSPA embodies traditional elegance blended with contemporary touches. Drift away with their selection of spa treatments and rituals for a truly invigorating experience. 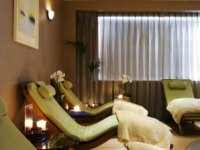 South William Clinic & Spa , Co. Dublin A hub of cutting-edge clinical treatments, luxury relaxing YonKa spa treatments and beautifying finishing touches. 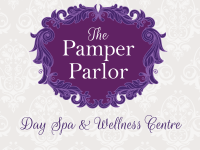 A real one-stop shop for pampering! 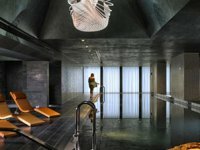 Spa & Wellness at The Marker Hotel Docklands, Co. Dublin With the emphasis on relaxation, The Spa at The Marker’s cocoon-like ambience transports you to another world full of peace and tranquillity. 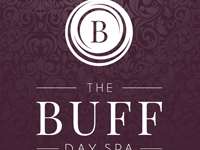 The Buff Day Spa Dublin 2, Co. Dublin The Buff Day Spa is located in the heart of Dublin, providing a whole spectrum of beauty and holistic healing therapies. Retreat from urban life for a brief interlude and experience luxury in beautiful settings. 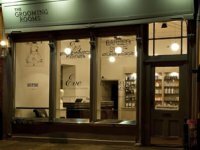 The Grooming Rooms Dublin 2, Co. Dublin The Grooming Rooms is Dublin’s first Grooming Emporium dedicated exclusively to men. As well as classic barbering services, guests can also enjoy a range of face and body treatments. The Spa at Castleknock Hotel Castleknock, Co. Dublin Tonic Health & Day Spa at Castleknock Hotel & Country Club offers guests an extensive range of refreshing and soothing therapies in private treatment rooms. Indulge in some pampering or attend to those well-deserved beauty treatments in luxury. 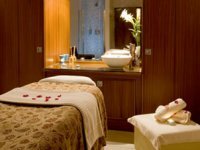 Avalon Beauty Salon at The Ardilaun Hotel Taylors Hill, Co. Galway Indulge yourself in the relaxing ambience of Avalon Beauty at the 4 star Ardilaun Hotel. The wide range of treatments are designed to make you feel completely relaxed and revitalised. Connemara Sands Seaweed Baths Spa Ballyconneely, Co. Galway Escape to the beachfront Connemara Sands Hotel for a well-earned spa break or spa day and experience the restorative and healing powers of organic Voya spa treatments and seaweed baths. A boutique hotel with private blue-flag beach access ...bliss! 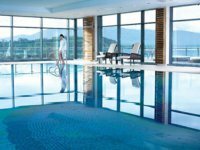 Delphi Spa at Delphi Resort Connemara, Co. Galway A place where time stands still, Delphi Mountain Resort and Spa is an award-winning destination where the body and mind can find union. Health & Harmony Day Spa Loughrea , Co. Galway A small and exclusive health spa tucked away in the countryside of Loughrea in Galway. Featuring picturesque gardens, a hot tub, an infrared sauna and an extensive list of rejuvenating treatments, this holistic spa is a cocoon of pure relaxation. 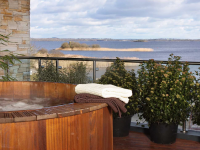 Shore Island Spa Loughrea, Co. Galway Shore Island Spa at Lough Rea Hotel is an atmospheric centre of relaxation. While away an afternoon enveloped in blissful treatments and inviting thermal suites. 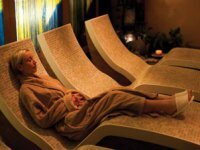 Spirit One Spa Lough Atalia Road, Co. Galway Located in the beautiful Galmont Hotel & Spa in the heart of Galway City, this award winning spa offers a full range of spa services. 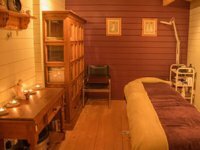 It also includes a beauty salon making it the perfect place for a relaxing retreat or pampering session for a fun night out in Galway City. 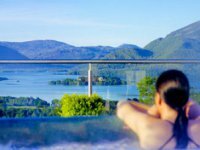 Aghadoe Heights Hotel & Spa Killarney, Co. Kerry A superior retreat of advanced relaxation, striking setting and award-winning therapists, The Spa at Aghadoe Heights provides intuitive treatments to remedy stress. Float away in the surrounds of Killarney’s blooming countryside. Angsana Spa at The Brehon Killarney, Co. Kerry An authentic Thai spa with expertly trained therapists from the celebrity Thai Spa, The Banyan Tree. A fusion of Thai techniques, natural aromatic ingredients and a state of the art vitality suite awaits you. Easanna Spa Kerry, Co. Kerry The elegant style and enchanting surroundings of the five-star Sheen Falls Lodge makes Easanna Spa a haven of therapeutic relaxation you won’t want to leave. Innisfallen Health & Beauty Rooms Killarney, Co. Kerry At The Malton, time seems to stretch just a little bit longer. The light and airy Innisfallen Health & Beauty Rooms provide the ideal location to slow down, relax and unwind. 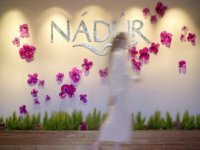 Nádúr Spa, Ballygarry House Hotel Tralee, Co. Kerry Situated at the foot of the Kerry Mountains, the beautiful landscaped gardens, towering trees and peaceful water fountains of the Nadur Spa create a cocoon of natural beauty. Stay for an hour, a day, or the whole weekend. 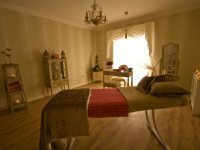 Nua Wellness Killarney,, Co. Kerry We can create a bespoke set of lashes for any occasion, We offer many different massage treatments and techniques plus Flotation Therapy which is the most effective way to soothe and heal the body from life’s constant stresses. 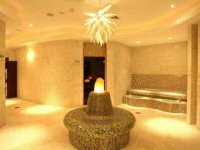 Serenity Spa at The Rose Hotel Tralee Tralee, Ireland, Co. Kerry Indulge yourself in a world of health, harmony, luxury and well-being at this four star venue. Plush treatment rooms, a tranquil relaxation suite, holistic therapies and stunning surrounds await you at Herbs & Roses at Fels Point Tralee. The Spa at Parknasilla Resort and Spa , Co. Kerry Located in the Ring of Kerry, Parknasilla Resort offers panoramic views of spectacular scenery. Experience a sensory escape from the pressures of life with luscious botanical treatments. The Spa at The Killarney Park Hotel Killarney, Co. Kerry Visits to The Spa at The Killarney Park Hotel in Co. Kerry are an occasion of utter indulgence. Allow yourself to be spoiled in undisturbed stillness. 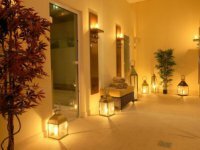 The Spa at the Killarney Plaza Killarney, Co. Kerry Drawing inspiration from traditional Ayurvedic teachings, the founders of Sundari Spa believe that outer radiance comes from inner serenity. 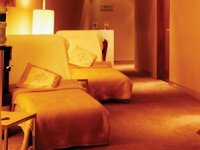 Revive Treatment Room Athy, Co. Kildare Pamper yourself at the Revive Treatment Room in the 4 star Clanard Court Hotel, or enjoy the full leisure centre and surrounding golf courses. Revive and rejuvenate with a range of treatments including full body massage, facials and professional make up application. 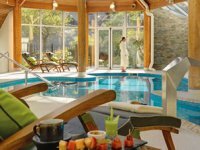 Spa Haven Clane, Co. Kildare Drift into a world of bliss at Westgrove Hotel’s Spa Haven. Promoting overall wellbeing with a variety of pampering rituals, there is no stress that can’t be relieved. 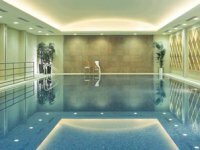 The K Spa at The K Club Straffan, Co. Kildare The exclusive K Spa at the renowned K Club is designed to bring you the very best in both health spa treatments and hotel spa facilities. Unwind in this laidback haven for a renewal of the senses. The Residence Day Spa Between Credit Union & Town Hall, Co. Kildare Experience a range of indulgent signature spa treatments, expert massage techniques, Eminence Organics body scrubs and wraps, cutting edge machine pedicure technology and Image Skincare facials at The Residence Day Spa in Naas. 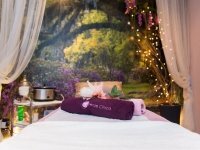 Kieran O' Gorman Hair Beauty & Day Spa Kilkenny, Co. Kilkenny The perfect setting to unwind and leave your worries behind you, Kieran O’Gorman Hair, Beauty & Day Spa centres on peaceful pampering and relaxing therapies. 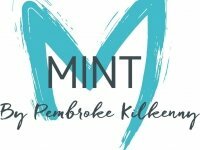 Mint by Pembroke Kilkenny 11 Patrick Street, Co. Kilkenny Located in the heart of Kilkenny City, Mint is a Medispa specialising in Laser Hair Removal, Facial, Massage and Results Driven Treatments. At Mint we're passionate about client care. We believe in excellence and strive to provide the highest quality of services and products delivered by a knowledgeable and friendly team. The Heritage Killenard , Co. Laois Cocoon yourself in The Heritage Golf & Spa Resort for a touch of tranquility in a contemporary setting. Enjoy a world class spa experience with extensive treatment options and innovative facilities. Oshadi Spa Drumshanbo, Co. Leitrim Infusing traditional spa treatments with Eastern philosophies, Oshadi Spa exemplifies utter calm from the beginning of your visit right through to completion. 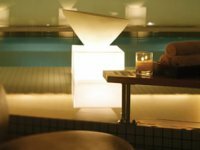 Rain Spa and Leisure Club at Radisson Blu Limerick, Co. 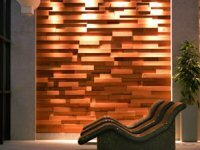 Limerick Rain Spa and Wellness Clinic at the Radisson Blu Hotel & Spa offers the perfect way to relax and rejuvenate. Facilities are state of the art with a little something on offer for everyone – the ideal escape. Revas Spa and Hair Studio Adare, Co. Limerick Revas Spa & Hair Gallery at Fitzgerald’s Woodlands House Hotel is a haven of relaxation in the picturesque Adare, Co Limerick. Ideal for rejuvenation of body and mind, the Revas Spa is the ultimate destination for couples, friends and groups. Spa No.1 Pery Square Limerick, Co. Limerick Step into The Spa @ No.1 and you are immediately cocooned in its tranquil atmosphere and warmth. Blissful thermal facilities and extensive treatments await. Beech Health Club and Spa Westport, Co. Mayo Beech Health Club & Spa transports spa-goers from the strains of every day life to a state of bliss. Located in the Westport Woods Hotel, it is a sanctuary of restful indulgence. 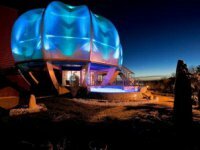 Chill Spa at The Ice House Hotel Ballina, Co. Mayo Chill out at the Ice Hotel’s dedicated Spa and benefit from intimate treatment rooms, exclusive products and highly trained therapists. Experience lavish indulgence at its best. The Beauty Spot Spa Ballina, Co. Mayo Enter a different world where calm and peace replaces the stress and tension of modern life. 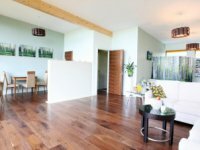 The Beauty Spot in Ballina, Co. Mayo is the ultimate in luxury & sheer relaxation and boasts the very finest in design, interior décor and modern facilities. Bellinter House and Bathhouse Navan, Co. Meath A stately hotel and spa where seaweed baths are a specialty, Bellinter House envelops guests in a warm and welcoming environment. Soak up the exquisite treatments in the comfort of this majestic Georgian manor. 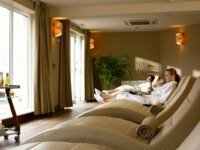 Seoid Spa at Dunboyne Castle Hotel & Spa Dunboyne, Co. Meath The extravagant Dunboyne Castle stands on over 21 acres of gardens and boasts a peaceful oasis in the form of the Seoid Spa. Enjoy stunning surroundings while still being located close to Dublin City Centre, nearby golf courses and Dublin Airport. The River Spa at the Knightsbrook Hotel Trim, Co. Meath The River Spa’s holistic centre of relaxation is secluded away in the Knightsbrook Resort in Co. Meath. Reawaken the senses with traditional Far Eastern spa treatments in this little piece of heaven. Lir Spa & Wellness Centre at Hillgrove Hotel H18 RK15, Co. Monaghan Lir, Spa & Wellness Centre is the ultimate haven in luxury and sheer relaxation. An ideal place to spend time unwinding, it provides you with the perfect atmosphere to ease away those everyday stresses. 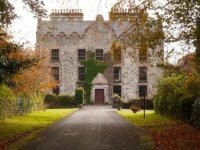 The Victorian Treatment Rooms at Castle Leslie Estate Glaslough, Co. Monaghan An escape to The Victorian Treatment Rooms will refresh and revitalize. 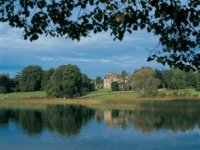 Based in the breathtaking Castle Leslie Estate, indulge yourself in a weekend of pampering and glorious surroundings. 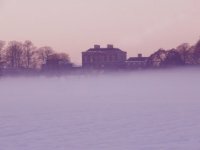 Clara House Holistic Spa Clara, Co. Offaly Clara House Holistic Spa blends spiritual welfare with traditional spa treatments. Get away from it all at this rural retreat of harmonious healing. The Spa at Hodson Bay NR37 XR82, Co. Roscommon From the moment you walk through the doors of the award-winning spa you will realise that you are in a cocoon, where the pace of life slows to its natural rhythm. Our thermal spa, a beacon of serenity and calm, will leave you feeling rested and ready for your treatment. Then the fun begins. The SPA at Kilronan Castle Ballyfarnon, Co. Roscommon An escapist’s dream, The Spa at Kilronan Castle embodies all the regal grandeur of the estate itself. Drift away while you are treated like royalty in this stately setting. Eros Spa at Yeats Country Hotel Rosses Point, Co. Sligo Yeats Country Hotel Spa & Leisure Centre provides its guests with a taste of leisure and relaxation amongst the breathtaking beauty of the North West of Ireland. Icon Spa Ballygawley, Co. Sligo Replenish your senses in Icon Spa’s serene surrounds. The centerpiece of Castle Dargan’s expansive amenities, the spa aims to deliver true sensory delight amid panoramic views. Solas Spa & Wellness Centre Rosses Point, Co. Sligo Visit Solas Spa at the Radisson BLU Hotel, and enjoy a relaxing spa experience with the latest beauty and holistic treatments. Karuna Day Spa & Wellness Centre Bailey's New Street, Co. Waterford A holistic Day Spa & Wellness Centre nestled in the heart of Waterford's Viking Triangle, the city’s beautiful cultural & heritage quarter. Offering luxurious Spa Packages, Decadent Body Treatments, Organic Facials, Swedish & Ayurveda Massage, Deluxe Manicures & Pedicures and Holistic Therapies & Workshops. 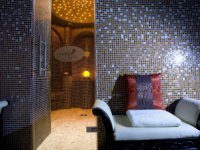 Oceana Day Spa Dungarvan, Co. Waterford Escape the hustle and bustle of everyday life at this cocoon of tranquility. Oceana Day Spa’s exotic treatments and serene settings will leave you feeling utterly radiant and rejuvenated. Spirit Beauty Spa 1 Merchants Quay, Co. Waterford De-stress in an atmosphere of pure tranquility in Spirit Health & Beauty Spa. With unrivalled facilities and exotic treatments provided by attentive staff, you will emerge calmed, restored and renewed. 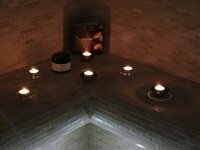 Cocoon Spa @ Amber Springs Hotel Gorey Gorey, Co. Wexford Cocoon Spa caters for mind, body and soul with the promise of effortless relaxation and enjoyment. Whether for a full day package or just your regular beauty treatments, a team of expert therapists will leave you refreshed, revitalised and energised. Sea Spa at Kellys Resort Hotel Rosslare, Co. Wexford Receive a warm welcome into this cocoon of serenity. 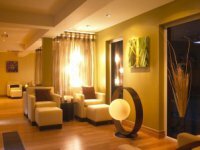 Sea Spa at Kelly’s Resort Hotel in Wexford specialises in the concept of total wellbeing, using therapeutic lighting and textured setting in line with treatments. 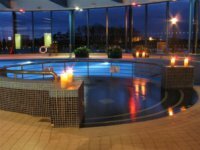 Solas Croí­ Eco Spa New Ross, Co. Wexford Solas Croí Eco Spa is a true haven for those looking for some pampering. Gentle but effective treatments combined with close proximity to stunning beaches makes this an ideal spa for both short breaks and long leisurely rests. The Beauty Bank Wexford, Co. Wexford The Beauty Bank treating mind, body and soul. Offering a wide choice of beauty salon treatments using the most natural or organic skincare, bodycare and nailcare ranges. ESPA at Powerscourt Hotel Enniskerry, Co. Wicklow ESPA at The Ritz-Carlton in Powerscourt is flanked by awe-inspiring mountain views and breathtakingly beautiful grounds. With custom-designed treatments and crystal-studded thermal facilities, its understated opulence is unsurpassed. 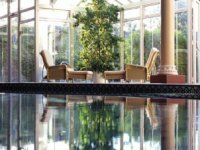 Rainforest Spa Enniskerry, Co. Wicklow Discover affordable luxury at this hideaway just half an hour south of Dublin. The Rainforest Day Spa offers exotic afternoons of indulgence to erase stress, pamper and beautify - revealing a glossier, happier you. 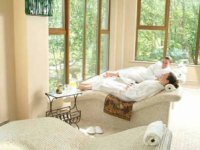 The Spa at Druids Glen Newtownmountkenndy, Co. Wicklow This luxury 5 star spa is surrounded by breathtaking scenery in Wicklow for a truly relaxing escape. 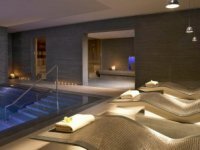 The Spa offers a full range of treatments and was highly commended in Irish Tatler Spa Awards 2012. The Spa also boasts a fitness and leisure club. 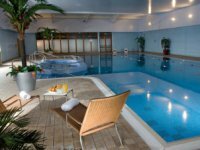 The Wells Spa Y14 A362, Co. Wicklow The Wells Spa at Brooklodge Hotel presents a picturesque escape from the pressures of day to day life. Melt into a state of complete repose with comprehensive thermal facilities and treatment choices.